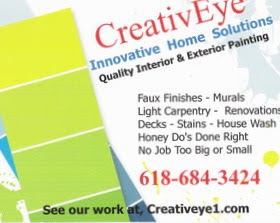 To contact Jim and Linda you can e-mail us at, CreativEye. 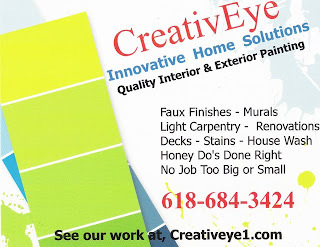 We can be reach by phone at, 1-618-684-3424. Or you can use the comment link at the top of each post, all information you submit in the link is confidential and not visible on this web site. You may also want to subscribe to our site and receive updates from our on going projects by using the e-mail subscription box on the right.